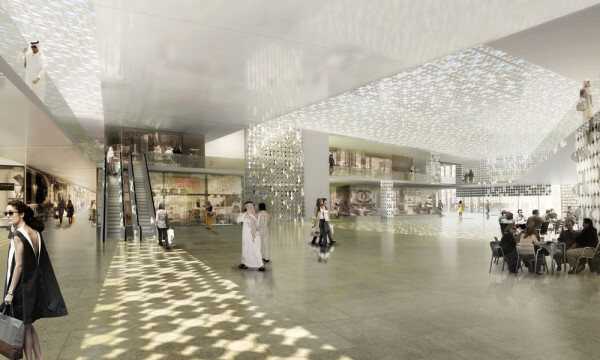 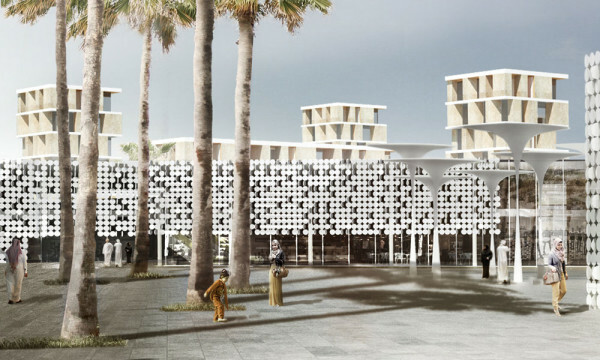 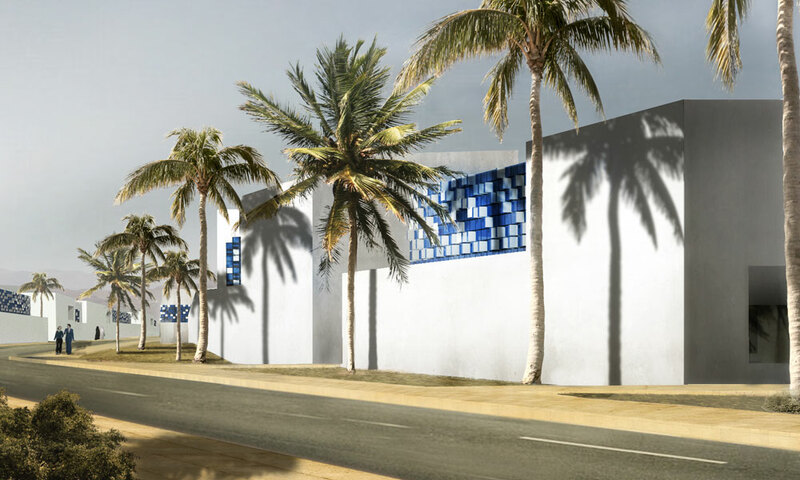 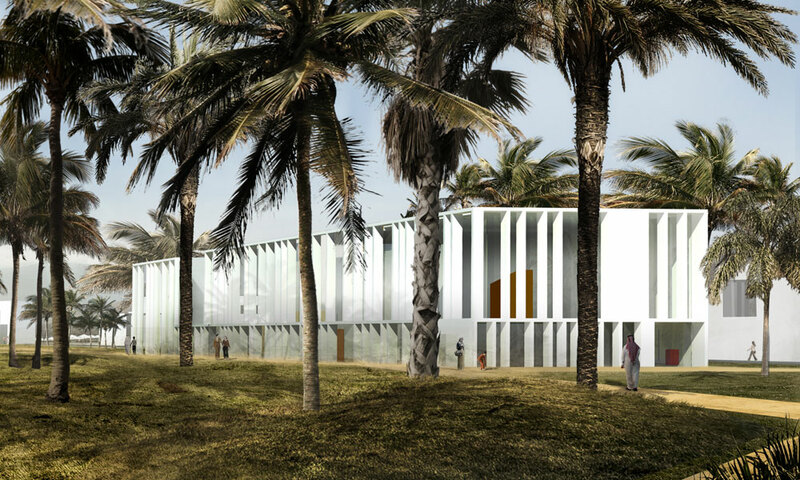 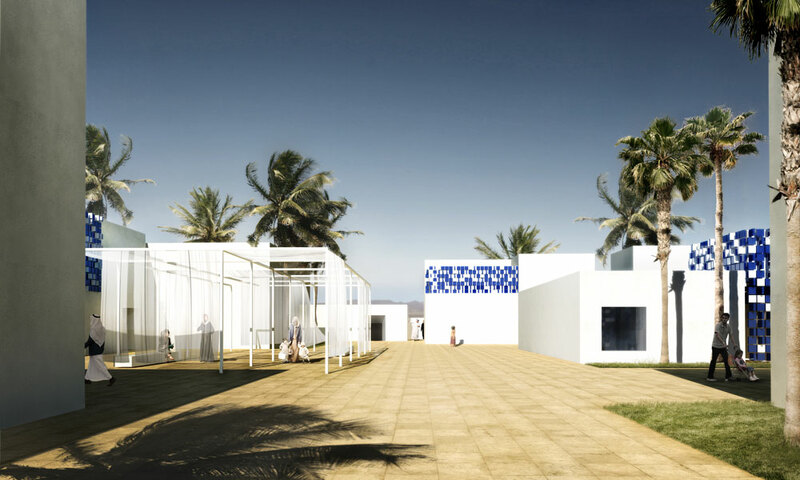 RRC Studio presents the new development for the coastal city of Al Dhakira, a proposal for a 275.000 sqm intervention including residential and commercial settlements. 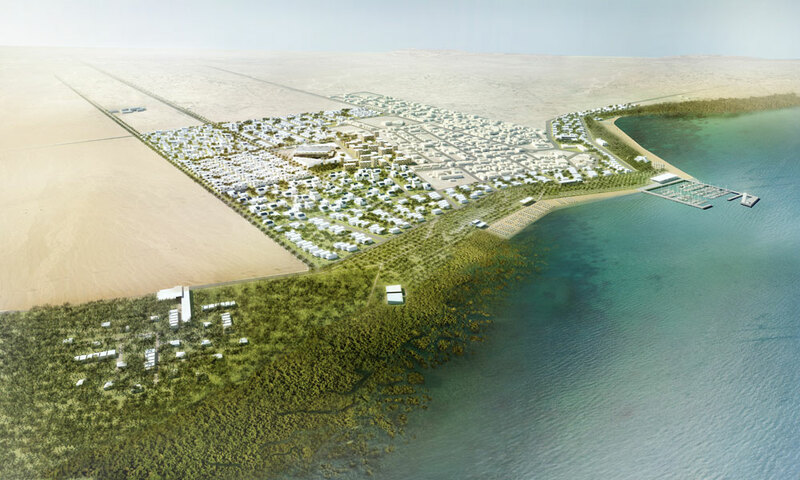 The expansion of Al Dhakira, city built on an inlet of the Persian Gulf, only 60 km away from the capital Doha, is set as the correct mix between the country’s need to grow, driven by the 2022 FIFA World Cup event, and the will to preserve its naturallandscape value. 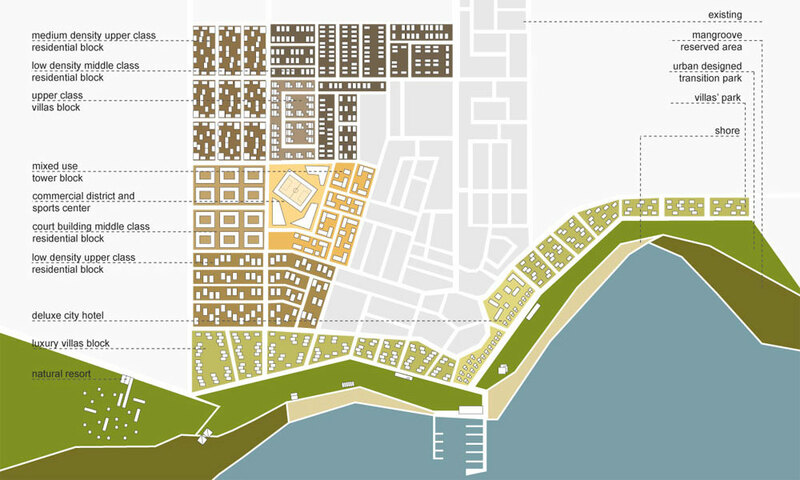 The project involves the development of a part of the city with new residential and commercial settlements of 275.000 sqm, and introduces a continuous increase in terms of density starting from the sea towards inland. 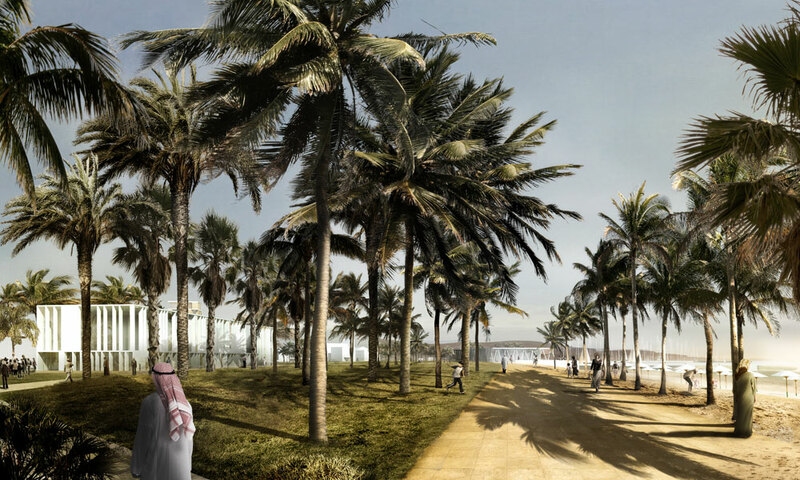 The coastal area is characterized by an urban park which mainly hosts public functions and connects, in a unique landscape strip, the two naturalistic parts of the city from north to south. 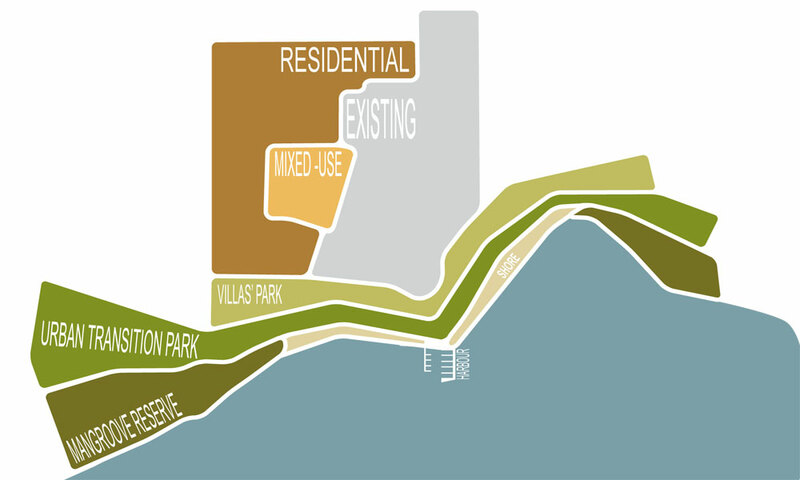 The protected areas, featuring the presence of mangroves and a delicate local fauna, allowed these unique locations to undertake an urban development with a particular attention to the respect of the landscape. 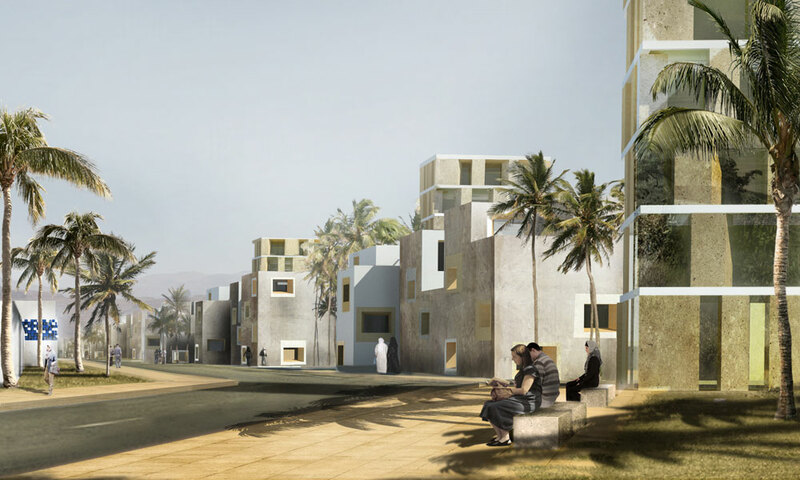 The residential design blends with the surrounding landscape and with the existing buildings, proposing different housing typologies, public and green spaces which promote the sense of community offering themselves as spaces where numerous activities in common or relax take place. 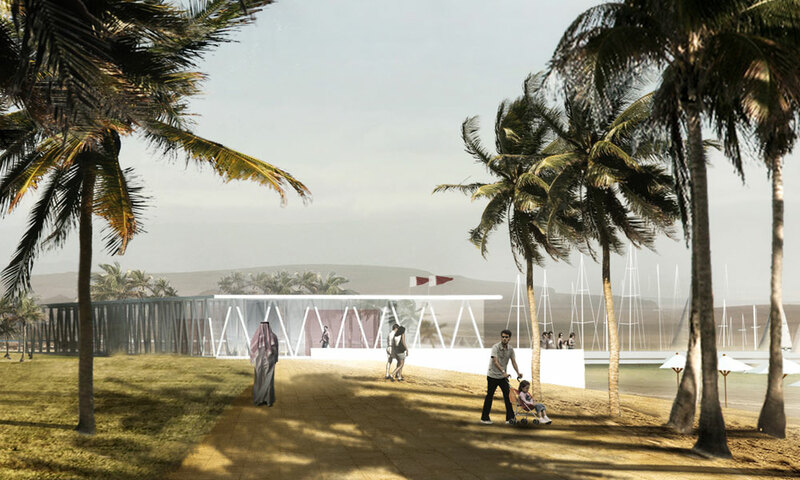 The commercial-directional area is arranged around the renewed sports field, representing the operative core of the city. 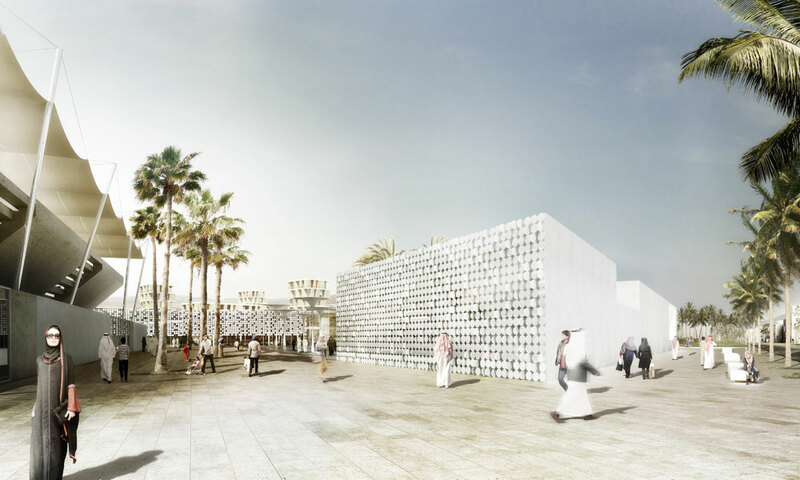 The architectural choices configure the buildings mixing aggregations of forms and traditional elements that are reinterpreted with specific technical and technological solutions committed to energy conservation and to urban and landscape sustainability.